I have written previously (here, here) about how people like to pretend they have read something they haven’t. To summarise my take on this phenomenon: Stop it! People claim to have read books (1, 2, 3, 4) and watched movies they haven’t in order to appear more intelligent. From the new list that I will discuss below, you have to question who they are trying to impress by claiming to have read Dan Brown and Stieg Larsson. Impressing people is what this is all about. We all have an inability to admit we like (or dislike) stuff because others may have a subjectively different taste and ridicule us. We even come up with the fake term “guilty pleasure” to describe something we like but are ashamed of for some reason. There shouldn’t be guilty pleasures, only pleasures… unless that pleasure is illegal or immoral or both – such as the movies of Uwe Bole. This new list of lied about books comes from a poll of 2,000 UK adults. In it 41% of respondents admitted they fibbed about what, and how much, they read. This was part of The Reading Agency‘s look at reading habits. It found that 67% of respondents would like to read more, but 48% claimed they were too busy to read… but caught the game on the TV and did you see those new cat videos? Another interesting point was that 35% said they struggle to find a book they really like, and 26% want recommendations from someone they know. I.e. reviews are important. As you will see from the list, most of these books have been turned into movies. That was probably why people lied. They wanted to impress people in a discussion but couldn’t just admit that they had only watched the movie. Hint: us readers can tell you haven’t read the book. I can’t claim to have read many of the James Bond novels – one, I’m pretty sure I’ve only read one. But I have watched most of the movies at least once. For my own part, the reason I haven’t read more of the books is partly lack of interest, and partly making time to catch up on older novels. There are a lot of influential authors and novels I’m yet to have a chance to read. Plus I’ve heard that the books have far fewer explosions. Admittedly I read the novel after the first movie came out – or possibly only finished it after the first movie came out. I’ve covered this book recently as part of my Book vs Movie discussions (1, 2, 3). I don’t think you can blame people for watching the movies instead of reading the book. The book is long, waffly, and at times difficult to parse. The movies are only long and awesome. 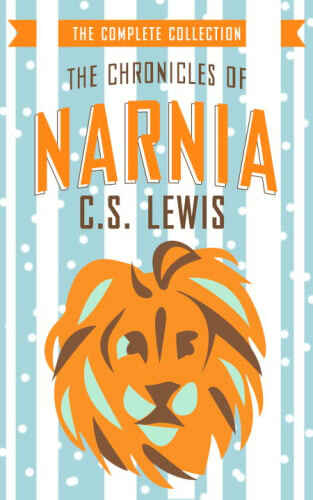 I’ve only read six of the seven Narnia novels. I read this series when I was young and pretty much lost interest before reading The Last Battle. The first two novels (chronological, not published) are well worth reading, but I can understand people not bothering to read the rest. I can also understand people having watched the movies and decided not to read the books. The movies are only okay, which is generally not enough to encourage most people to read books. Apparently The DaVinci Code is one of the most read books of all time…. if you just go by book sales. I have a love-hate relationship with Dan Brown’s Artefact McGuffin Adventures. While I have read two of Brown’s novels, I actually prefer other authors who write superior Artefact McGuffin Adventures. Can’t really blame people for watching Tom Hanks run around historical places instead of reading about Robert Langdon. I can honestly say I haven’t read this book, nor been interested in doing so, despite the paperback being on our shelves. The movies didn’t exactly inspire me either. The main reason I haven’t tackled it is that my wife only thought it was okay and similar to Divergent by Veronica Roth. I didn’t even realise the movie was based on a book until relatively recently. I’m sure most people will have seen the movie and assumed the book is pretty similar. Another book I haven’t read and one I’m not really interested in reading – nor the rest of the series for that matter. I’m not sure why anyone would claim to have read this book when they haven’t, unless they want to say “Oh, the books are so much darker” when the movie is being discussed. Another novel that is on our shelves thanks to my wife. The impression I have of the main character is that I would probably not enjoy this, especially since I try to be out of the room when people are watching the movies. Ugh. I read part of this book before shredding it and using the remains to create a nest for a family of rats. Even the Wikipedia synopsis of the novel bores me to tears. Any “thriller” that starts with ten pages of descriptions of flowers, followed by a few more pages discussing home renovations had better make them giant mutated flowers with Uzis that are renovating the home with explosives. If only people would stop talking about this book so that people would stop talking about it as though it was good. I bought The Godfather from a bargain bin next to a pile of remaindered books. The only reason I decided to buy and read it was that the movie was/is a classic. It is probably fair to say that most people only ever considered reading this because of the movie, so it is no surprise that people inflate that from considering to have read. I have neither read this book nor watched the film. My entire understanding of this book comes from Thug Notes. That’s enough for me. This book certainly isn’t for everyone. When I reviewed it I called it literary crime fiction, which puts it between genre fiction that people like reading, and award-winning stuff people only pretend to like reading. * That means it could attract people from both audiences, or annoy both audiences – yes, I am assuming that those two audiences are disparate entities that share nothing in common. So I could see why some people would claim to have read this novel, what with the awards, and praise, and movie forcing them to either admit something about their reading habits or to make some facile excuse for not having read it yet. This book has the dubious honour of being a novel I was only aware existed as a result of it appearing on these lists of books people claim to have read but haven’t. Maybe this book doesn’t actually exist but is inserted into these reading lists as an internal check for the survey of readers. Let’s see who notices that this book is fictional fiction. *Yes, that is me being snobby. Yes, I am meant to be against that judgmental stuff. Yes, I am a hypocrite at times.